The National Transportation Safety Board on Sunday said the limo crash over the weekend in New York state was the “deadliest transportation-related accident” in the U.S. since 2009. All 18 people in the limo died and two bystanders were killed, State Police First Deputy Superintendent Christopher Fiore said on Sunday, according to local NBC affiliate WNYT. The limo was carrying a wedding party, according to the Albany Times Union. 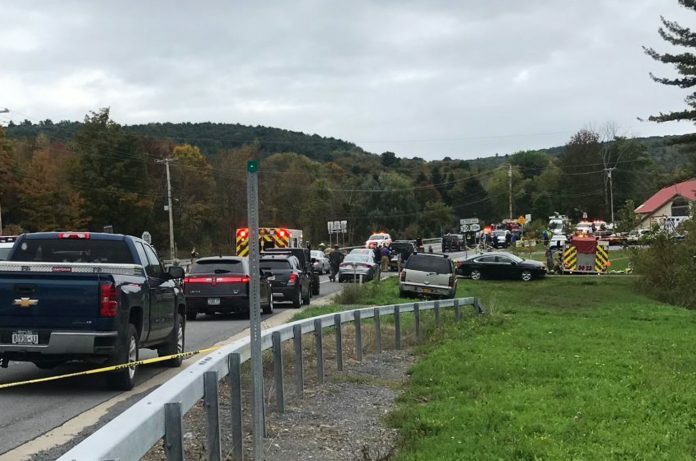 In a statement, NTSB Chairman Robert Sumwalt said the limo crash is the the deadliest transportation incident since 2009, when an airplane crash in Buffalo, N.Y. killed 50 people.